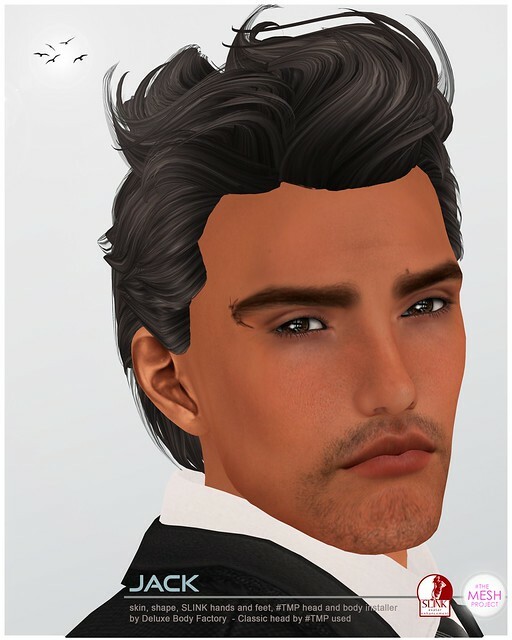 Second Life freebie – MENstuff hunt gift – Jack! Are you interested in more male skin installers for The Mesh Project with several facial hair options and 3 different skin tones? Check out Peter skin or Asian male Daichi skin, previously released.